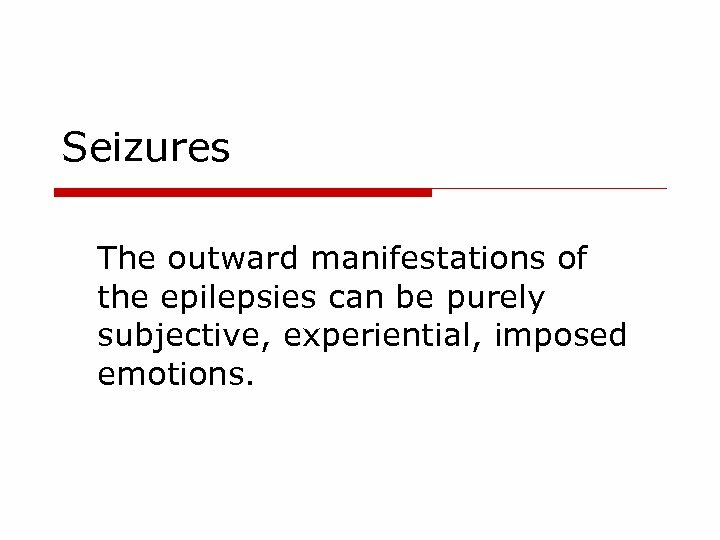 Seizures The outward manifestations of the epilepsies can be purely subjective, experiential, imposed emotions. 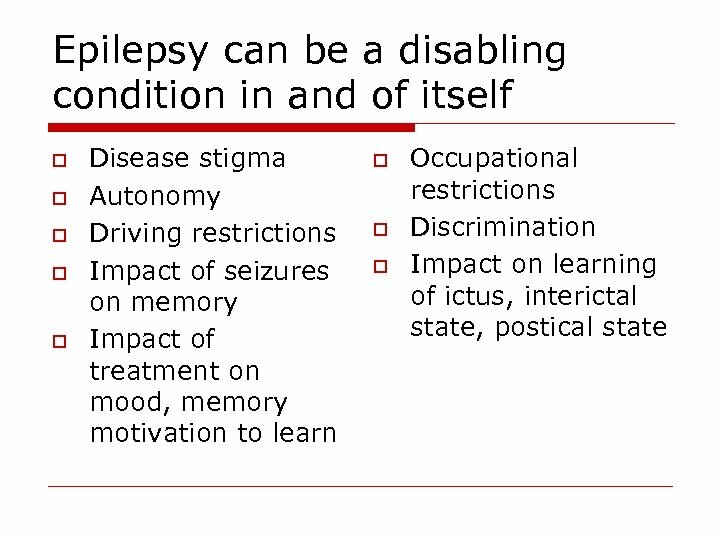 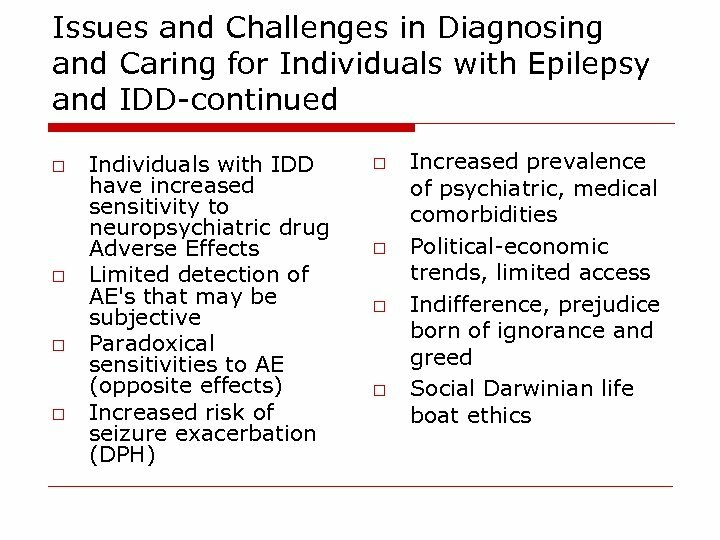 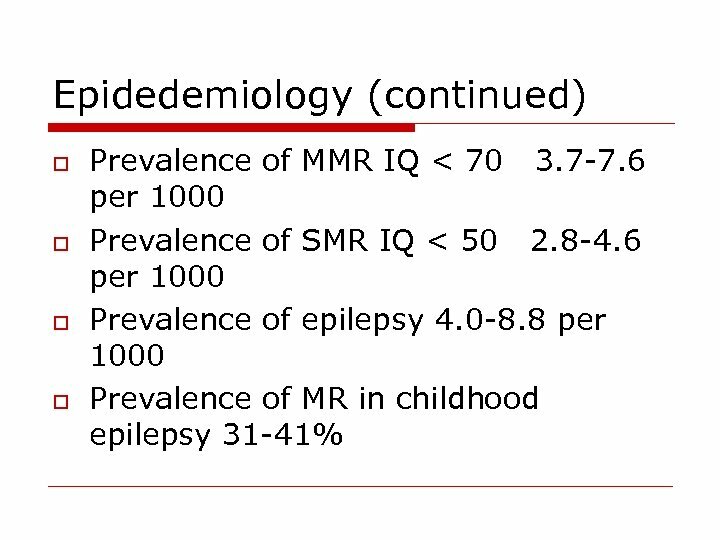 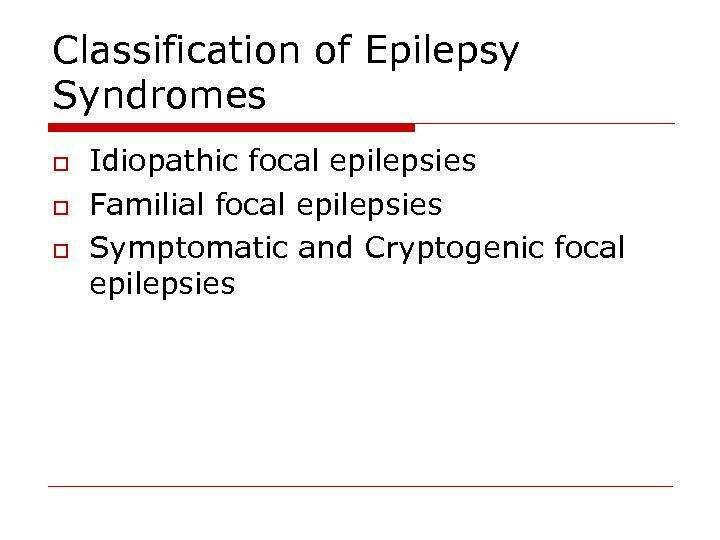 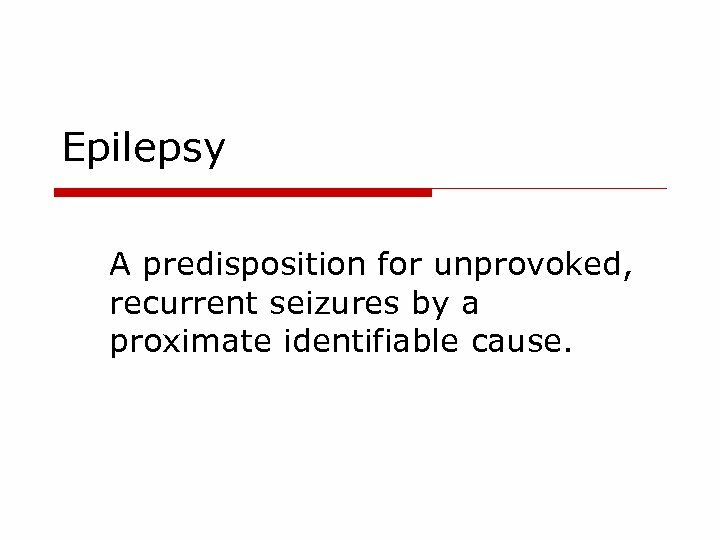 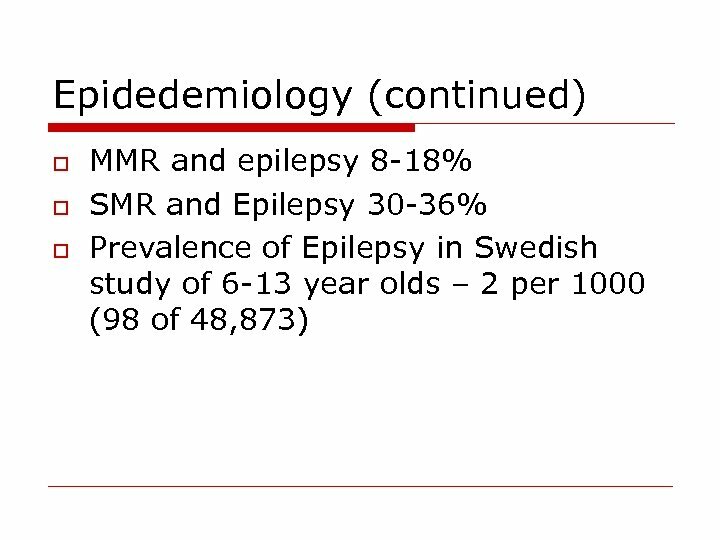 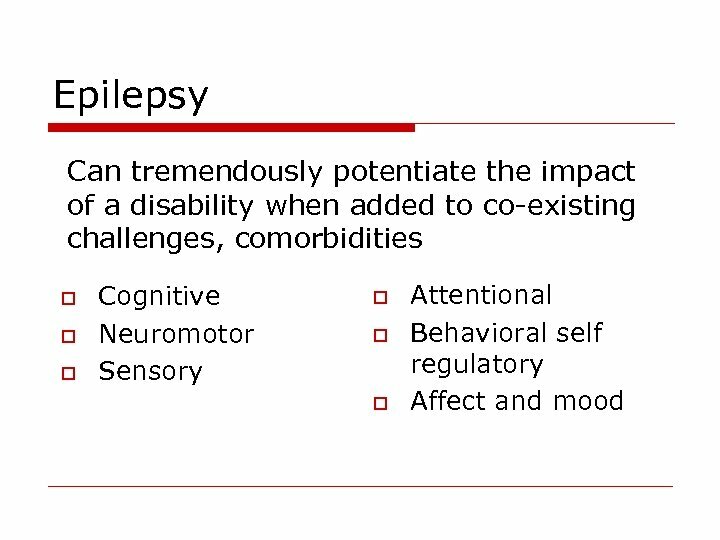 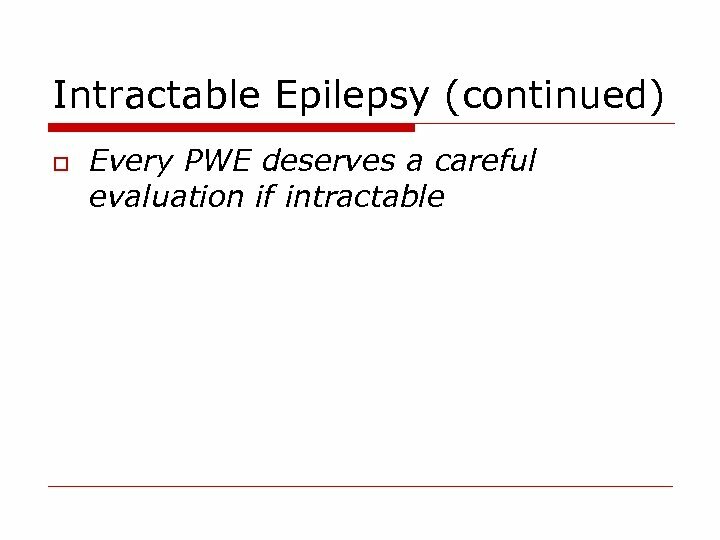 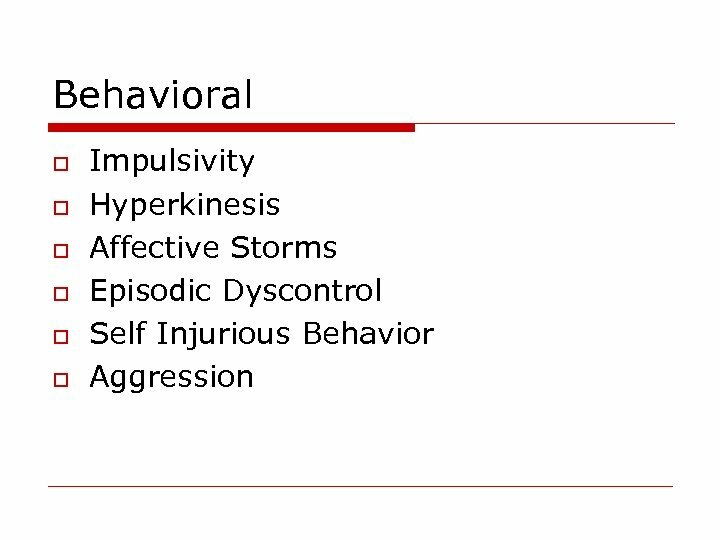 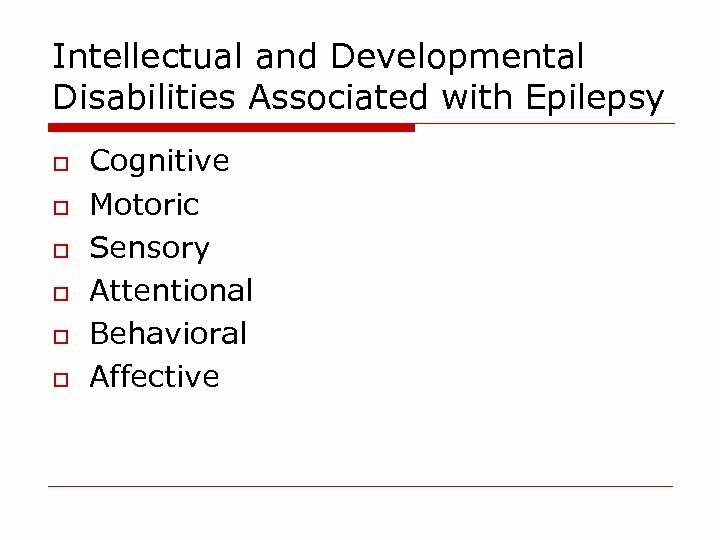 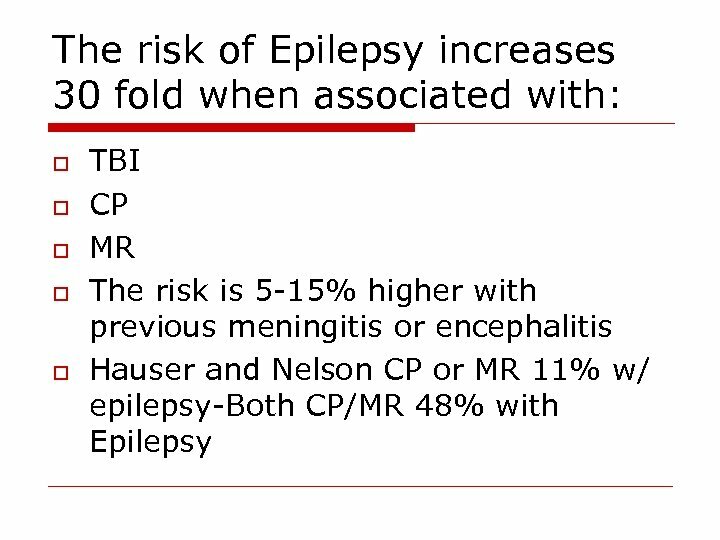 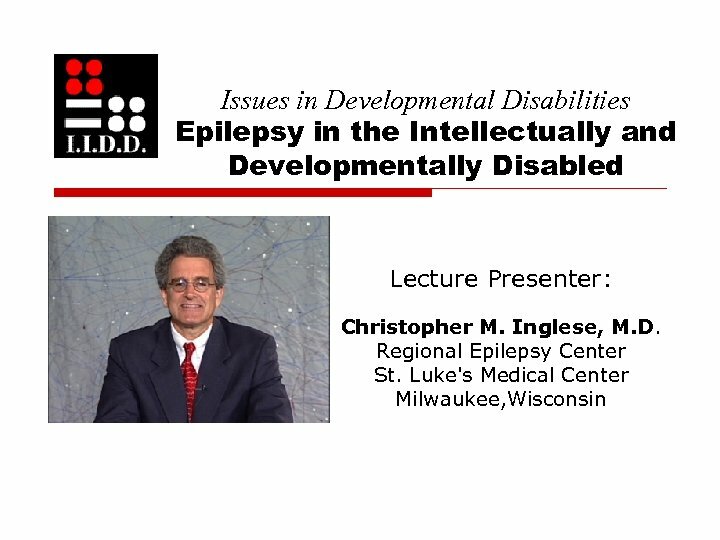 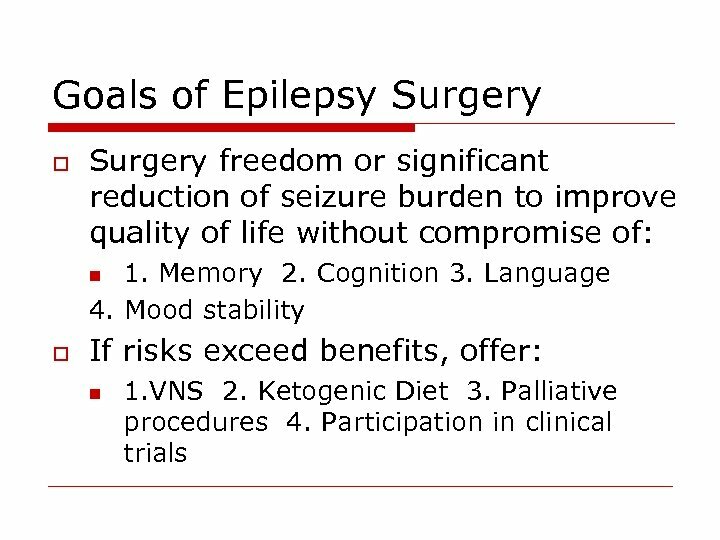 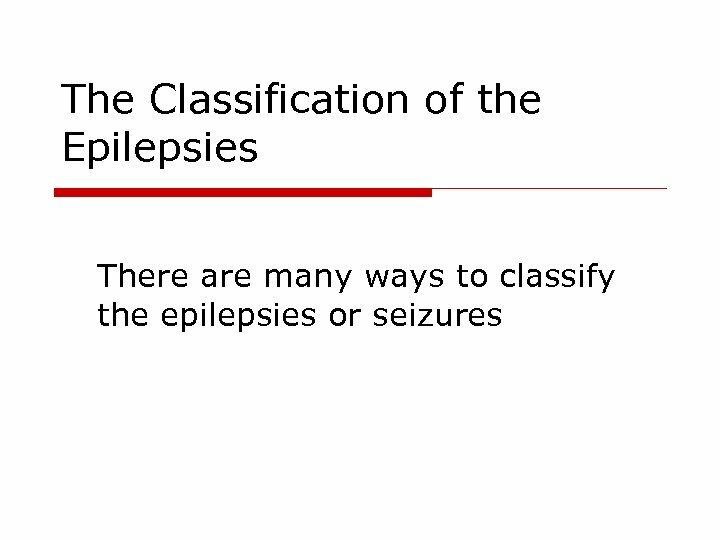 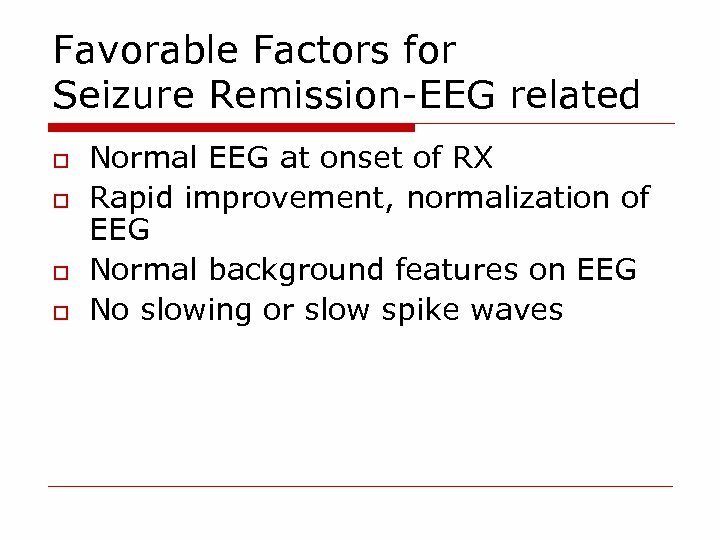 Epilepsy A predisposition for unprovoked, recurrent seizures by a proximate identifiable cause. 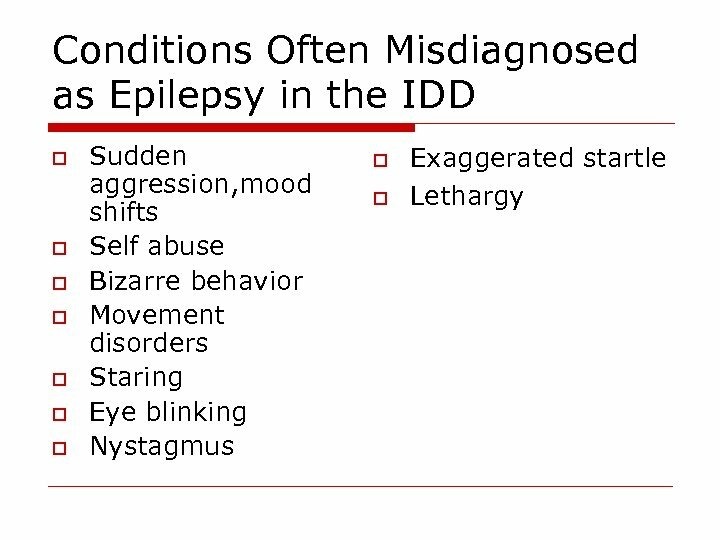 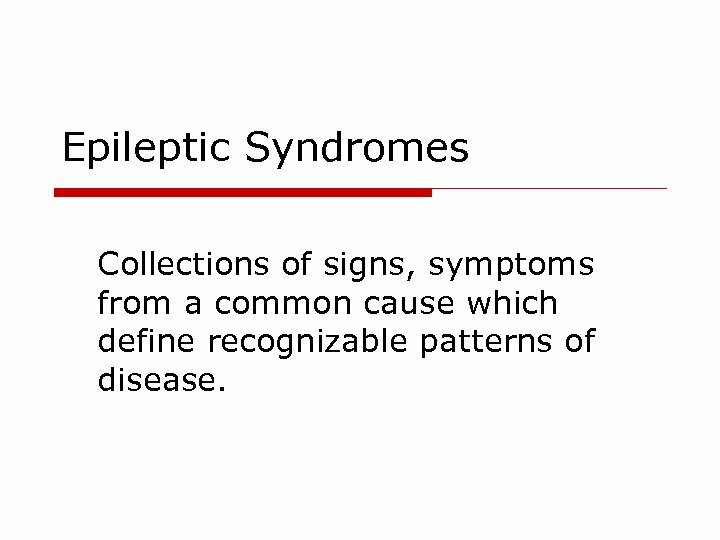 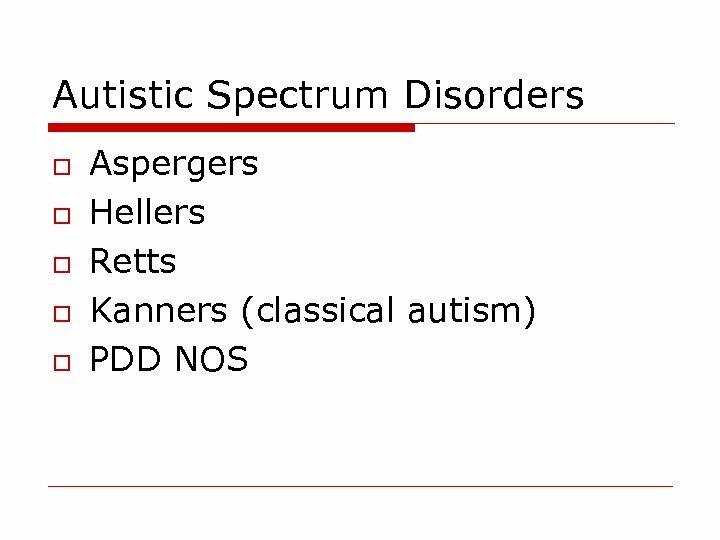 Epileptic Syndromes Collections of signs, symptoms from a common cause which define recognizable patterns of disease. 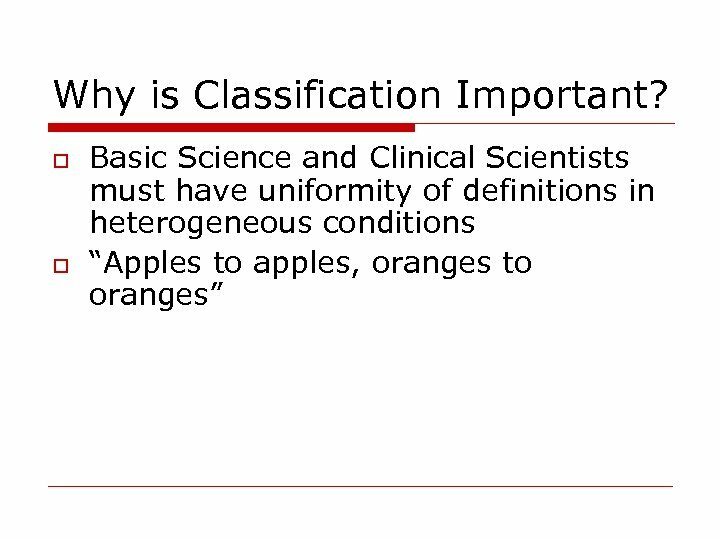 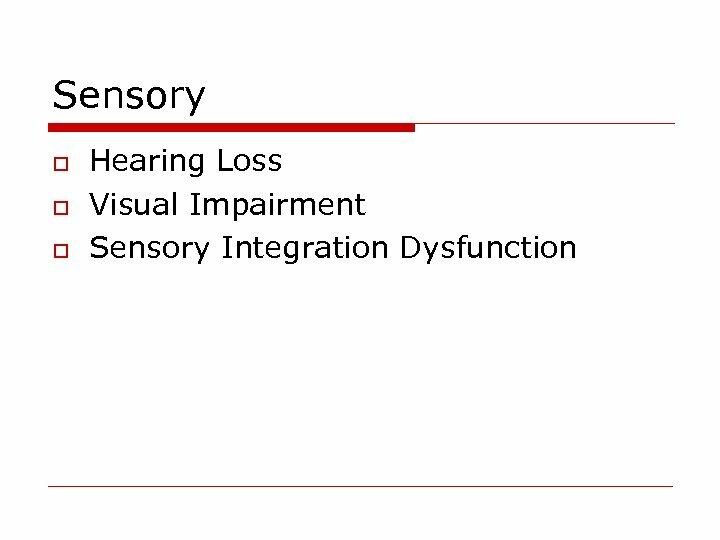 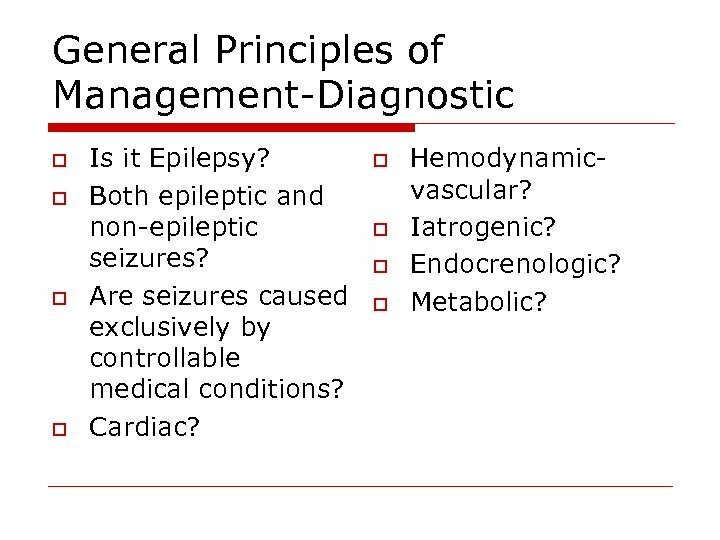 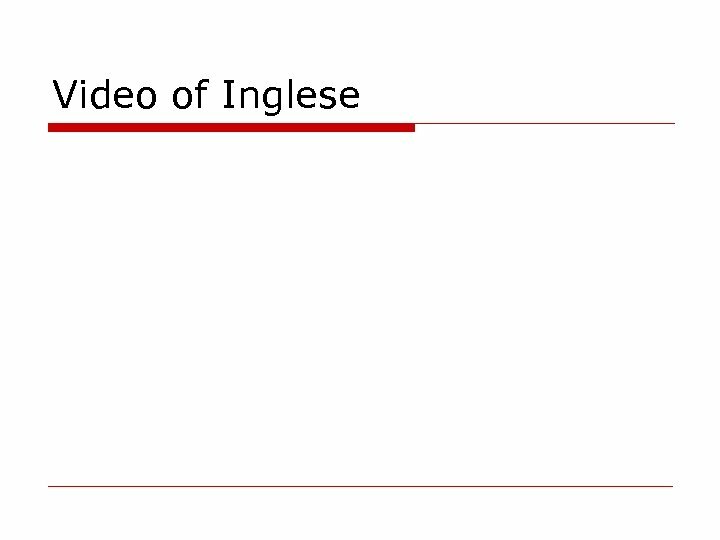 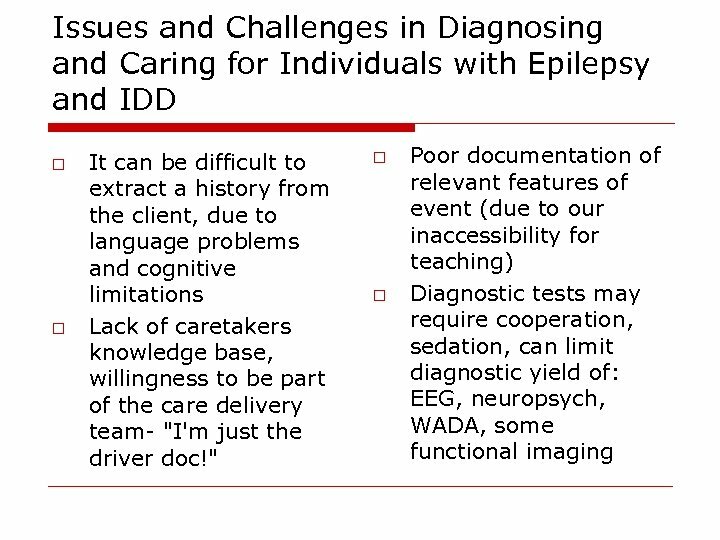 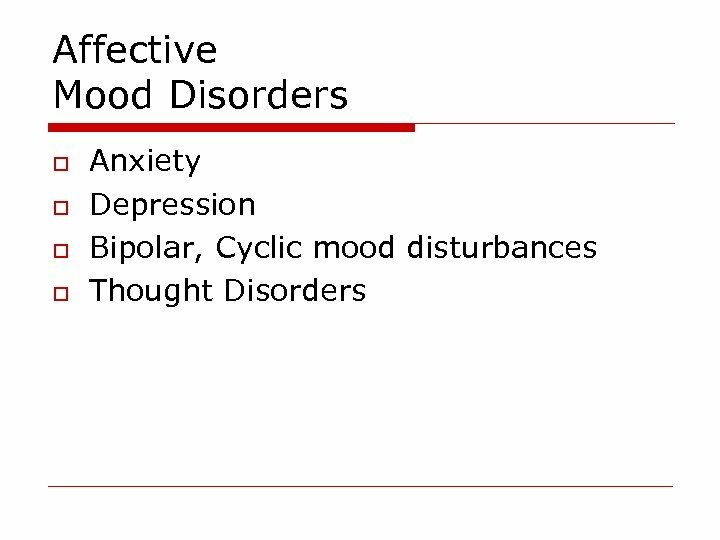 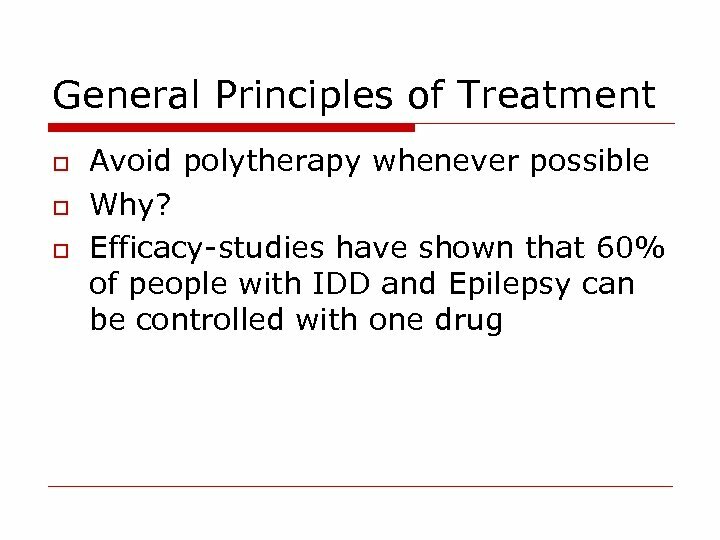 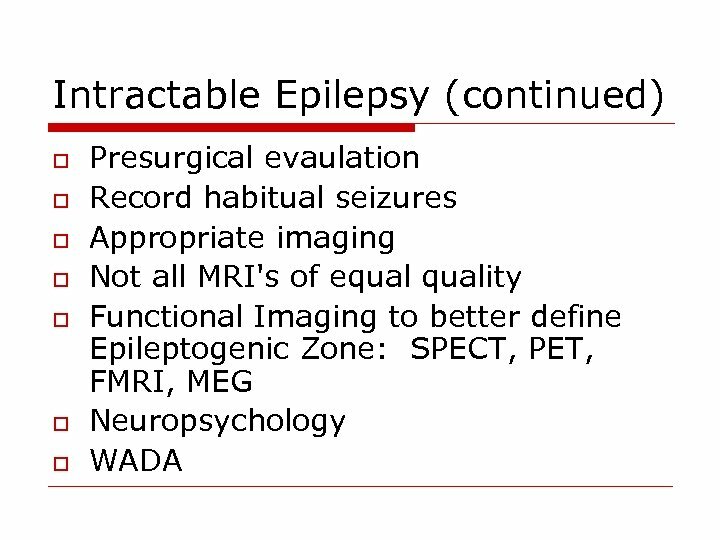 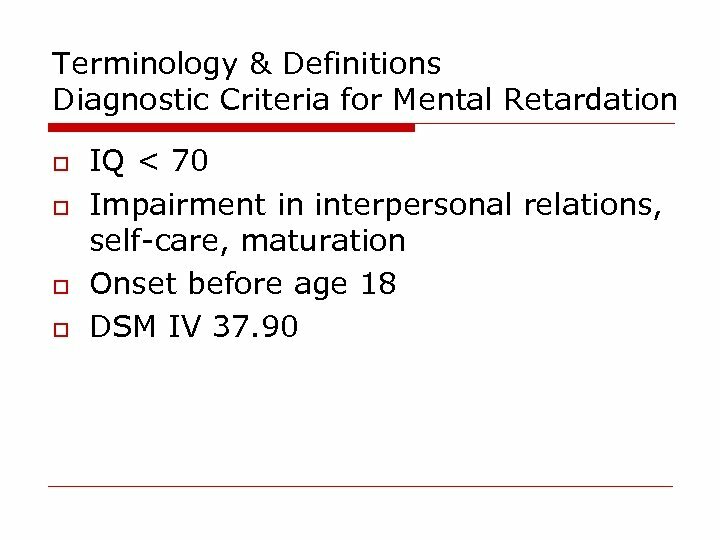 General Principles of Management-Diagnostic o o Is it Epilepsy? 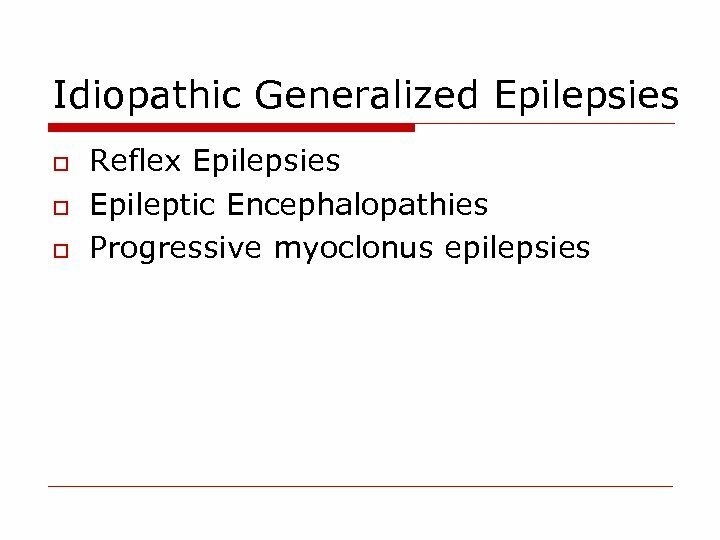 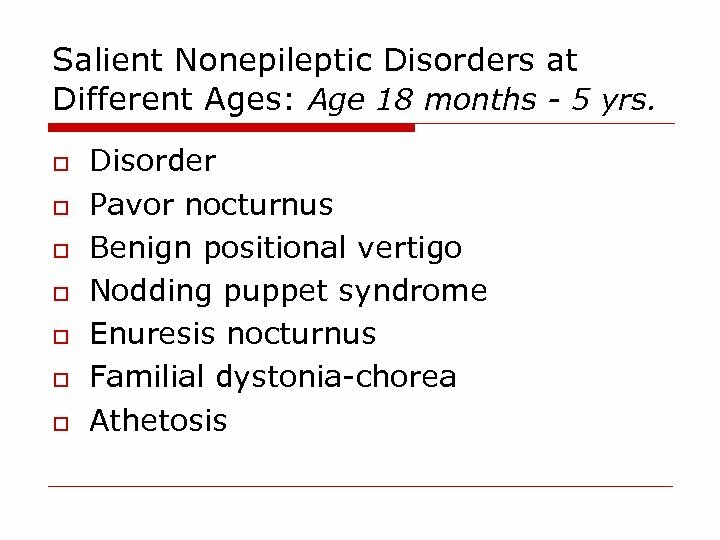 Both epileptic and non-epileptic seizures? 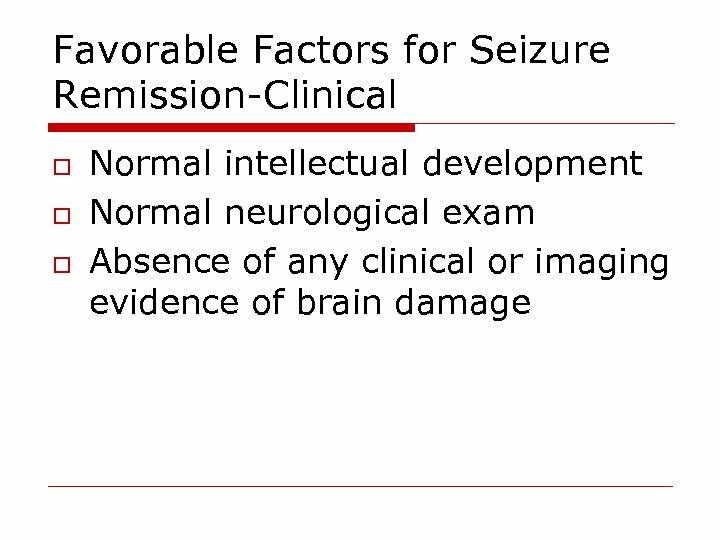 Are seizures caused exclusively by controllable medical conditions? 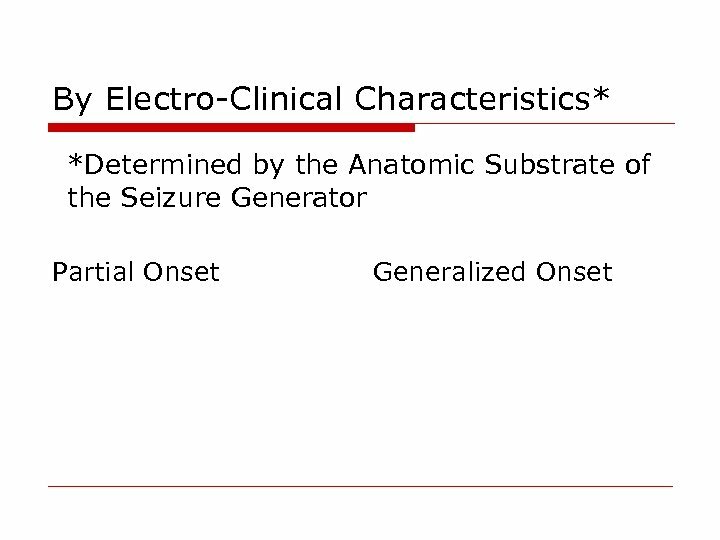 Cardiac? 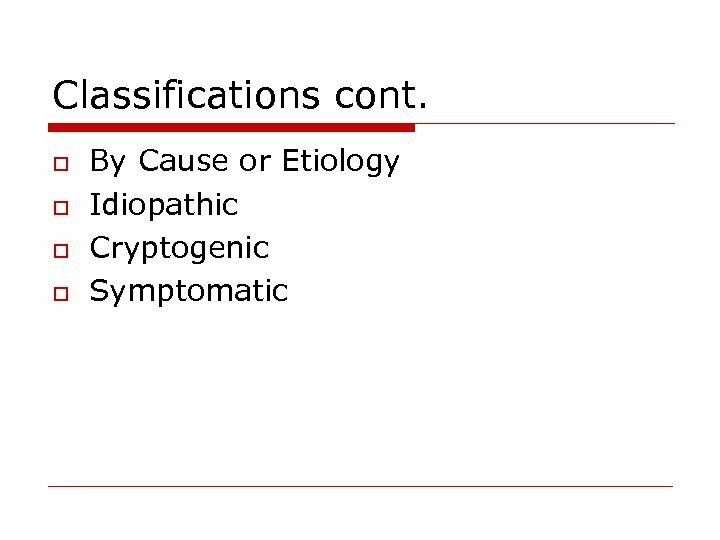 o o Hemodynamicvascular? 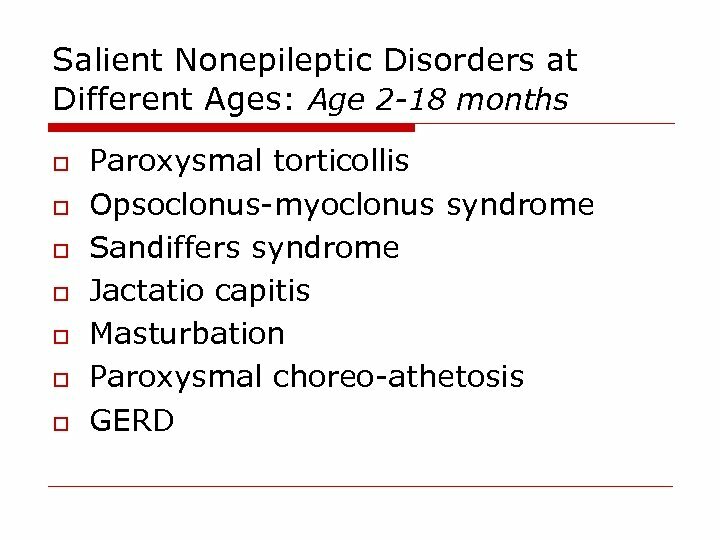 Iatrogenic? 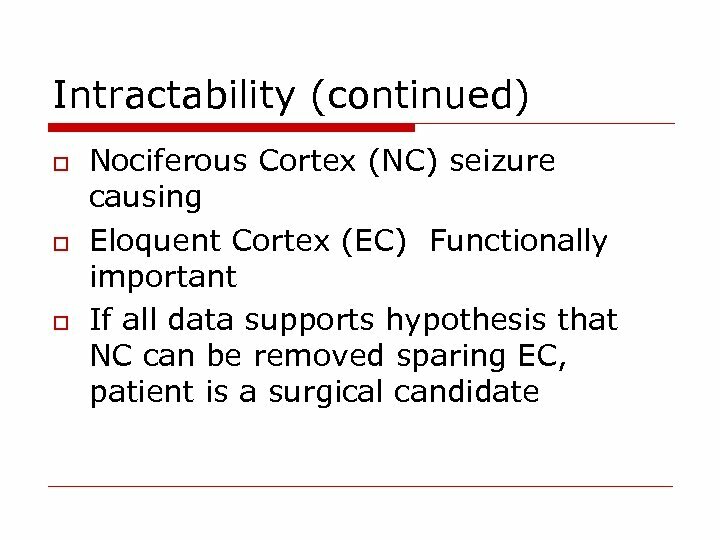 Endocrenologic? 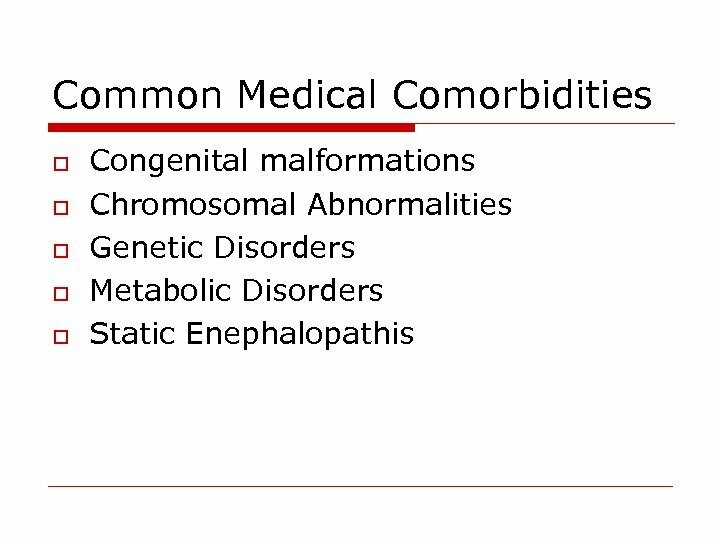 Metabolic? 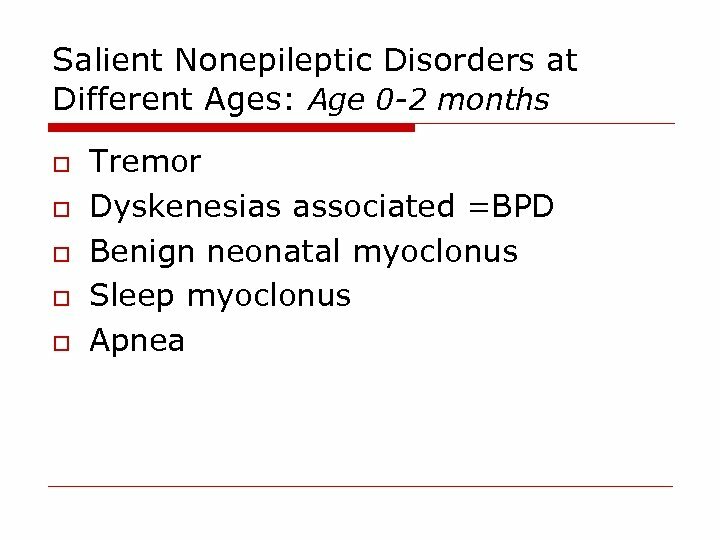 Newer Drugs? 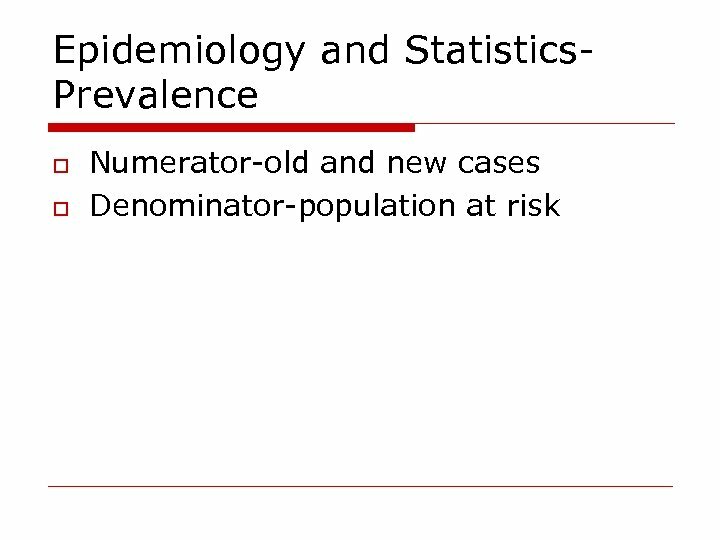 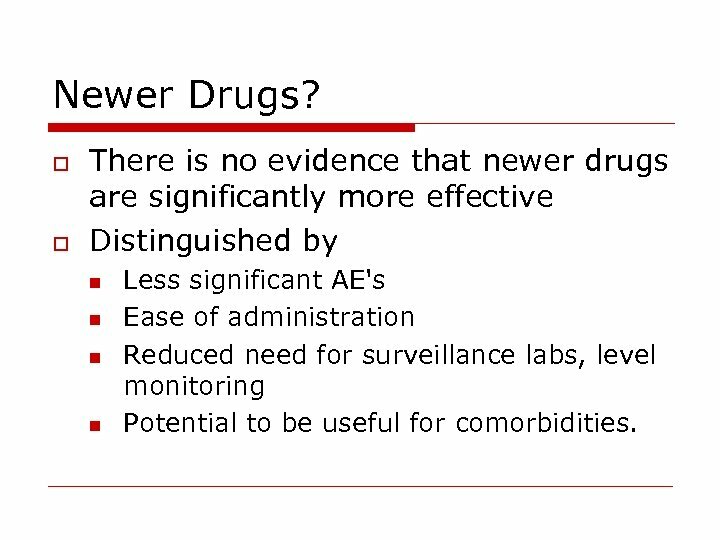 o o There is no evidence that newer drugs are significantly more effective Distinguished by n n Less significant AE's Ease of administration Reduced need for surveillance labs, level monitoring Potential to be useful for comorbidities. 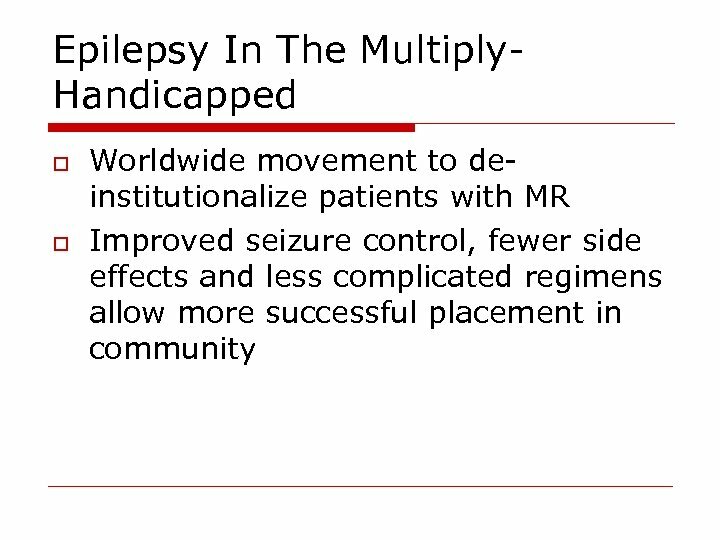 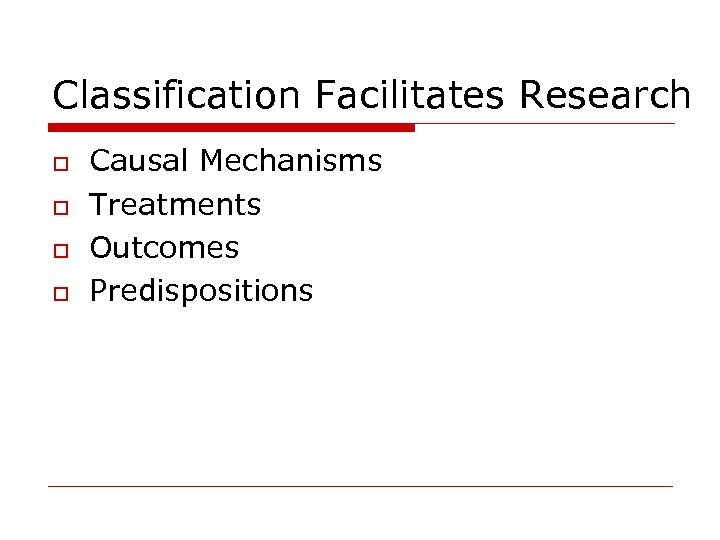 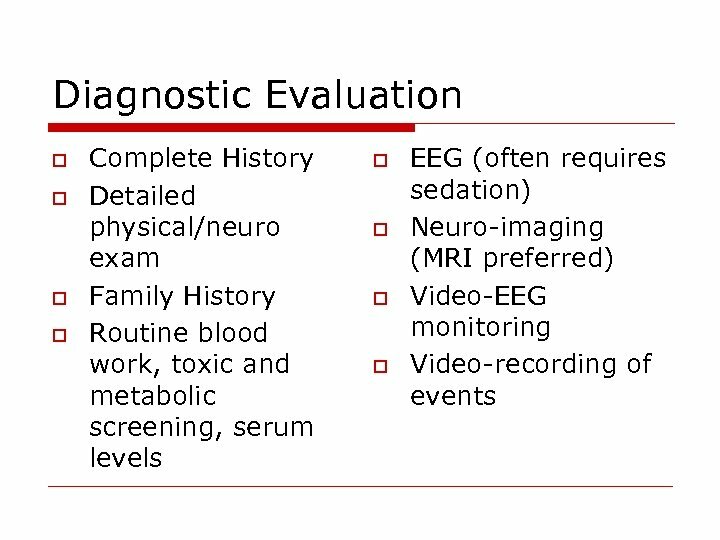 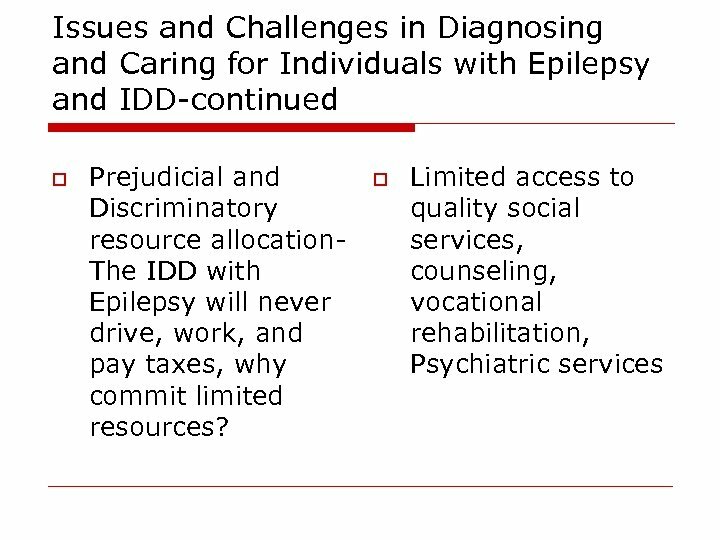 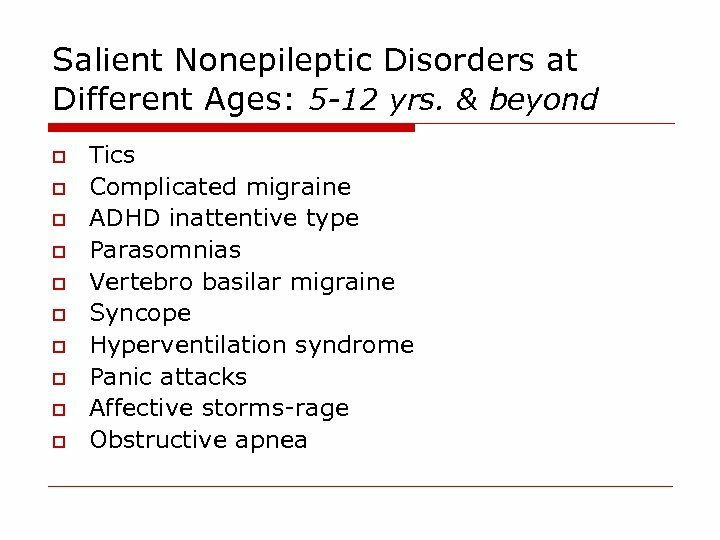 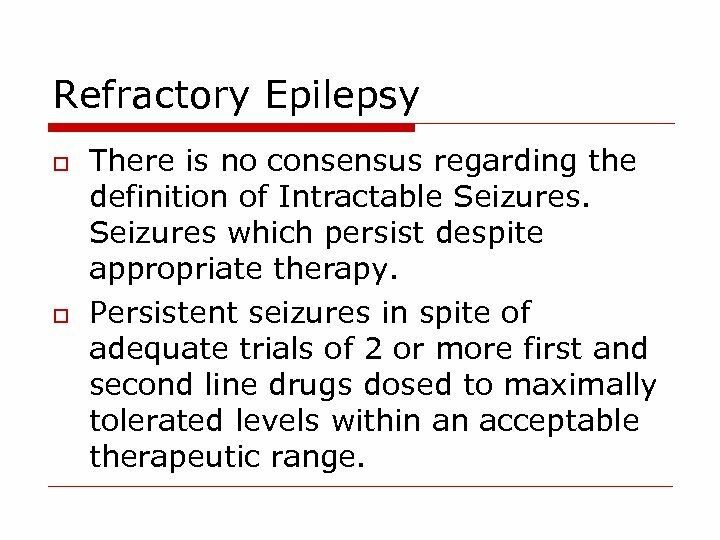 Refractory Epilepsy o o There is no consensus regarding the definition of Intractable Seizures which persist despite appropriate therapy. 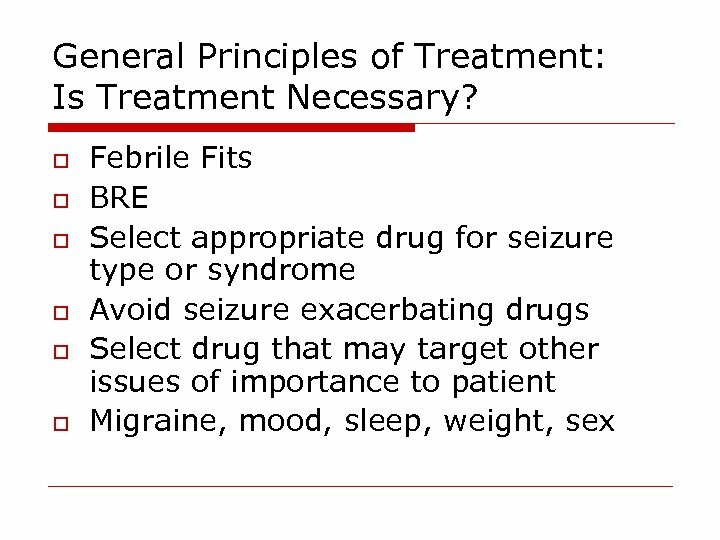 Persistent seizures in spite of adequate trials of 2 or more first and second line drugs dosed to maximally tolerated levels within an acceptable therapeutic range. 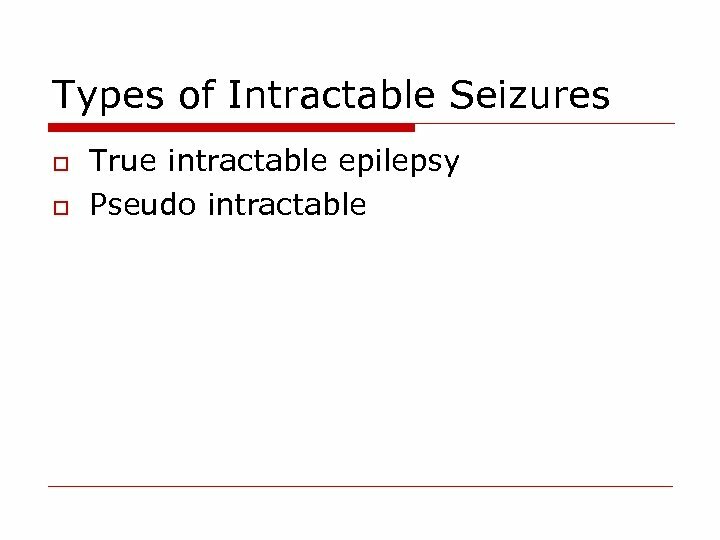 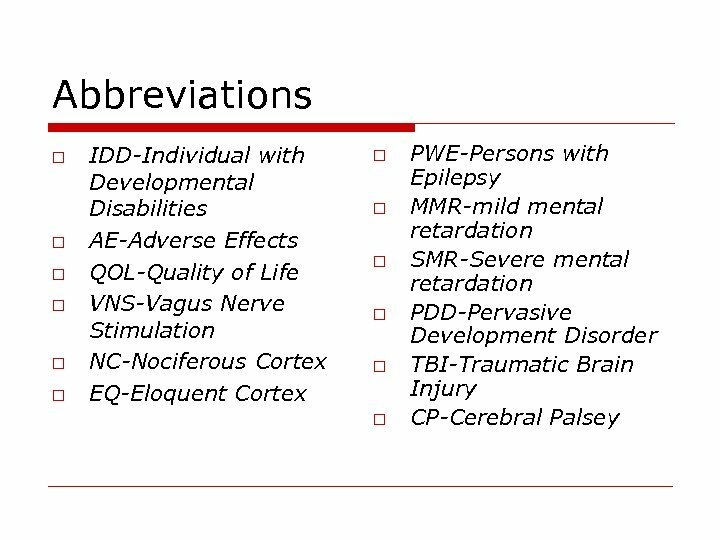 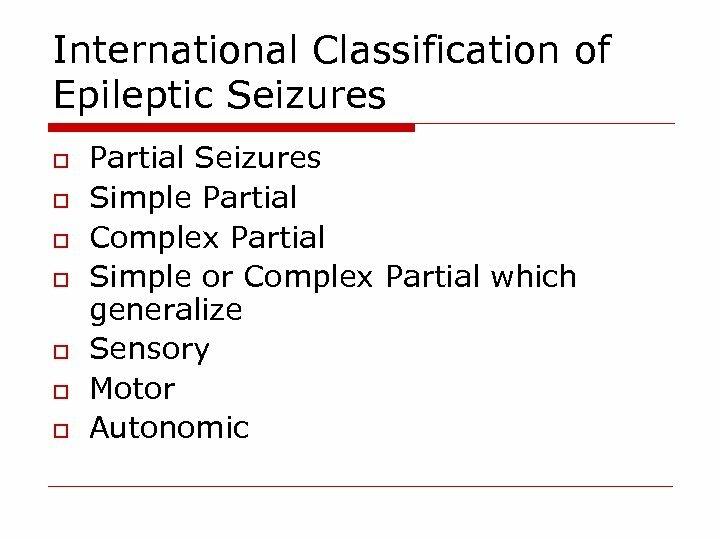 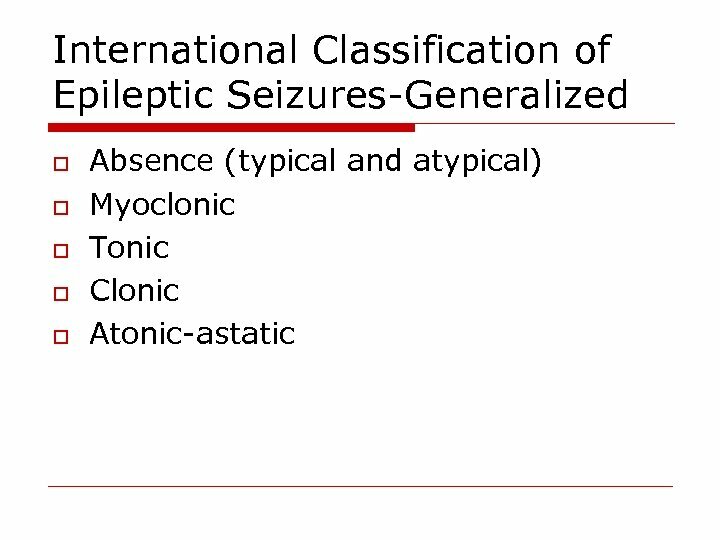 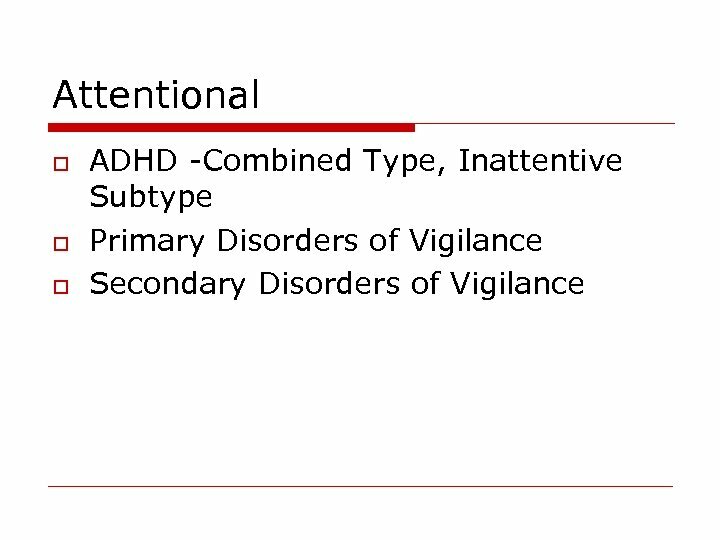 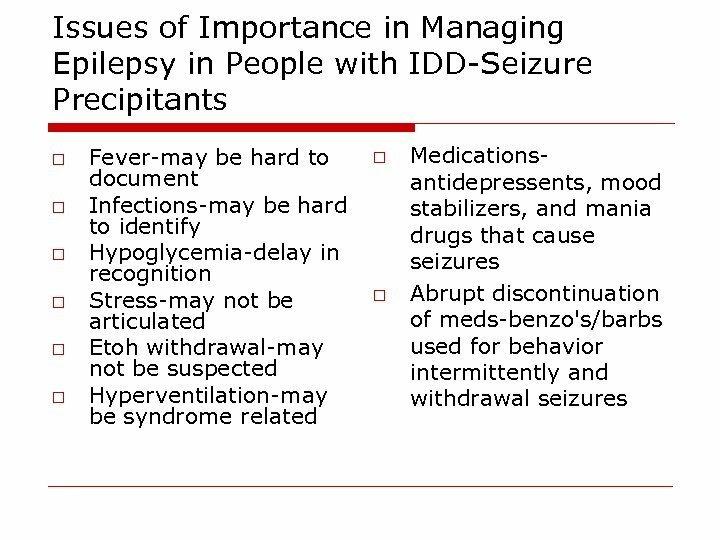 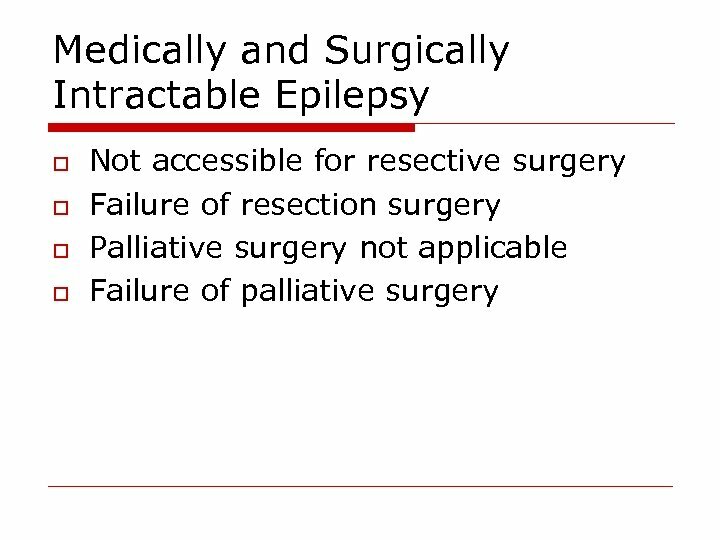 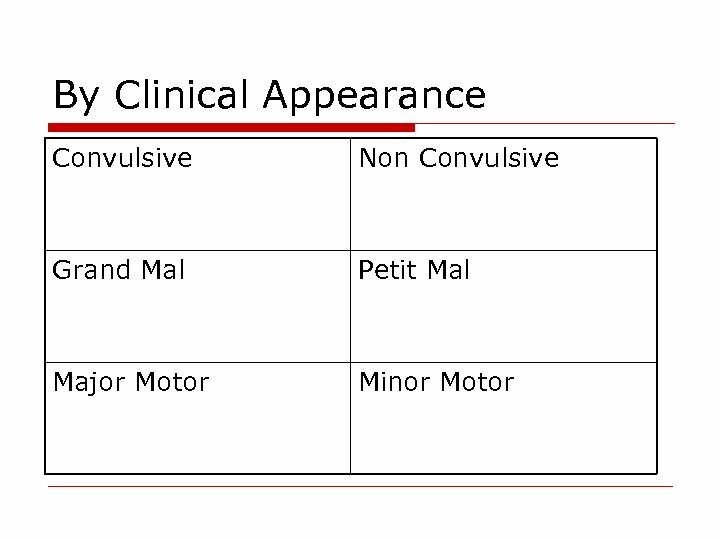 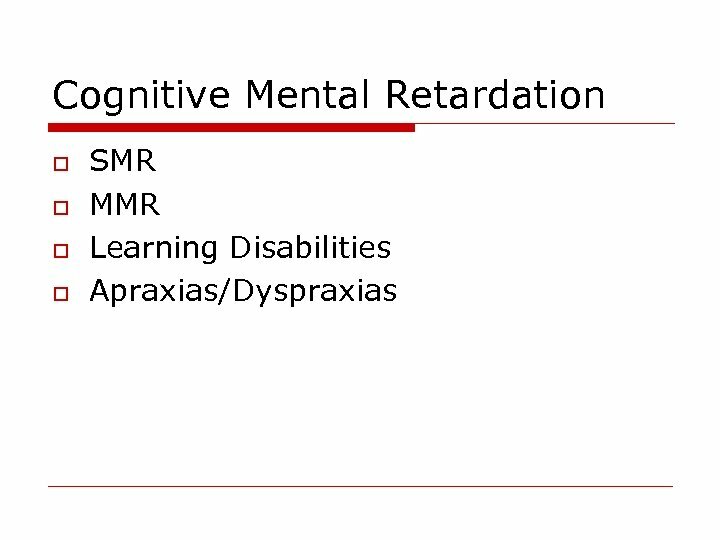 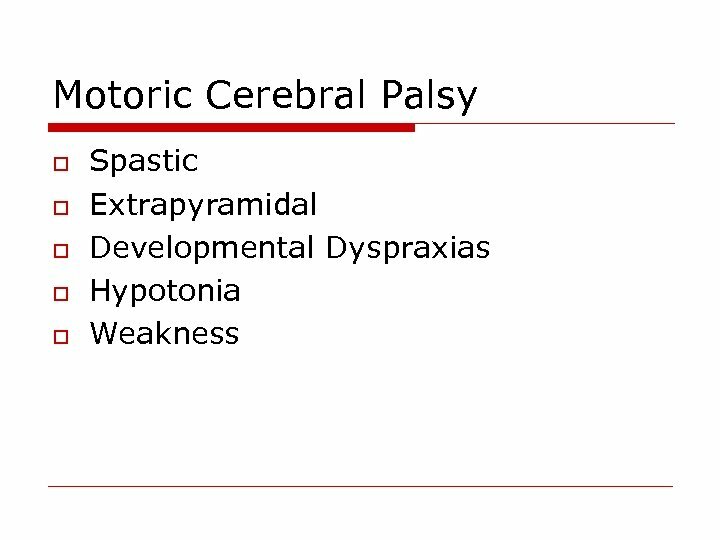 Approach to the Person with Intractable Seizures o o o Is it Epilepsy? 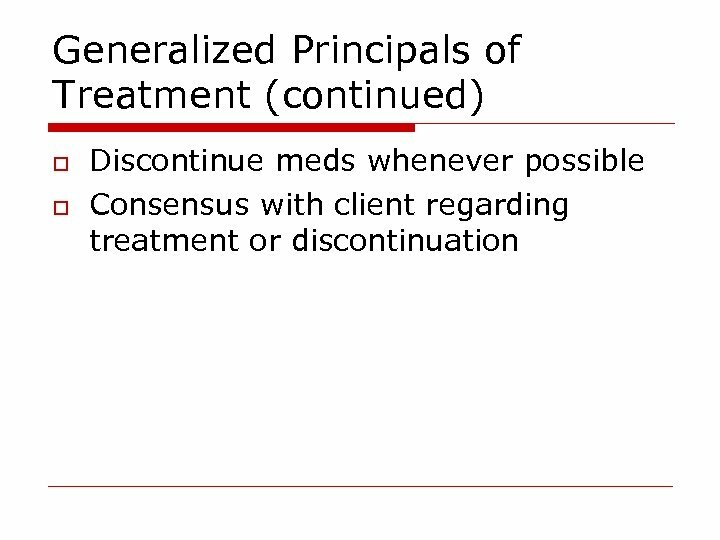 Have appropriate drugs been prescribed? 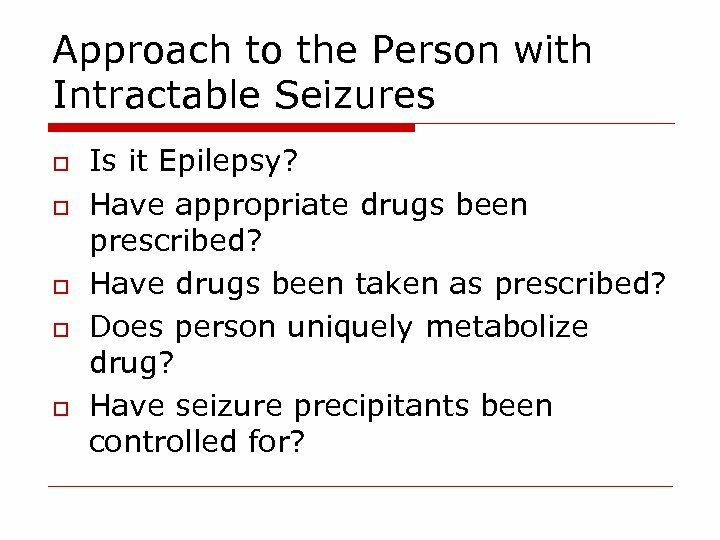 Have drugs been taken as prescribed? 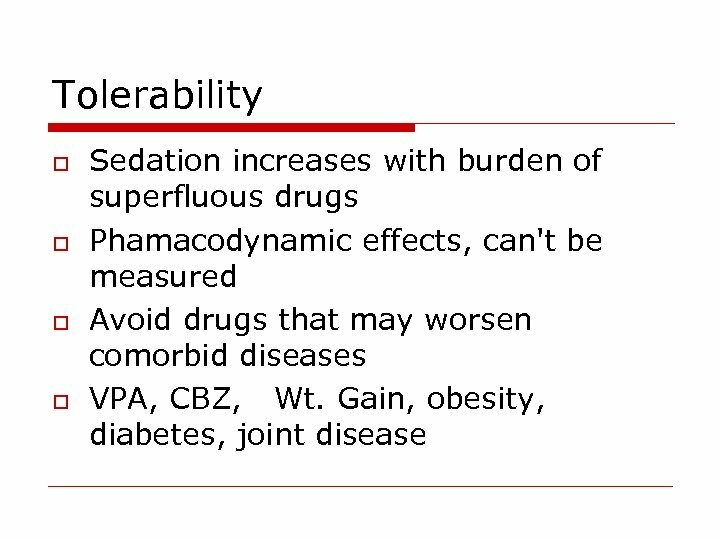 Does person uniquely metabolize drug? 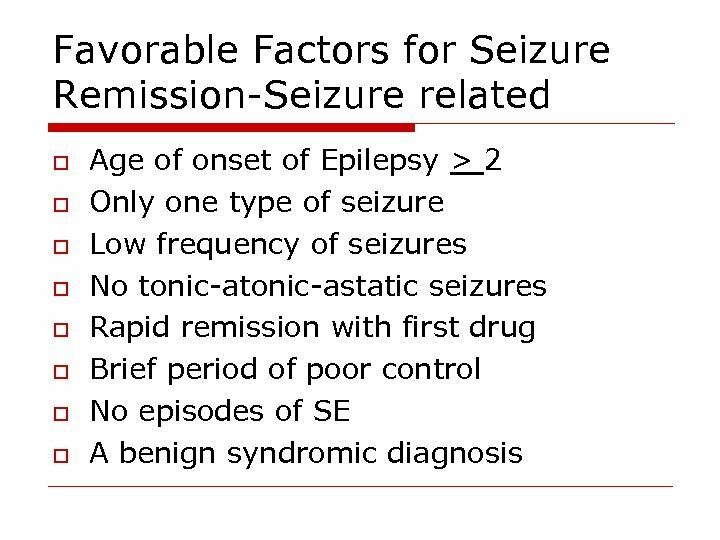 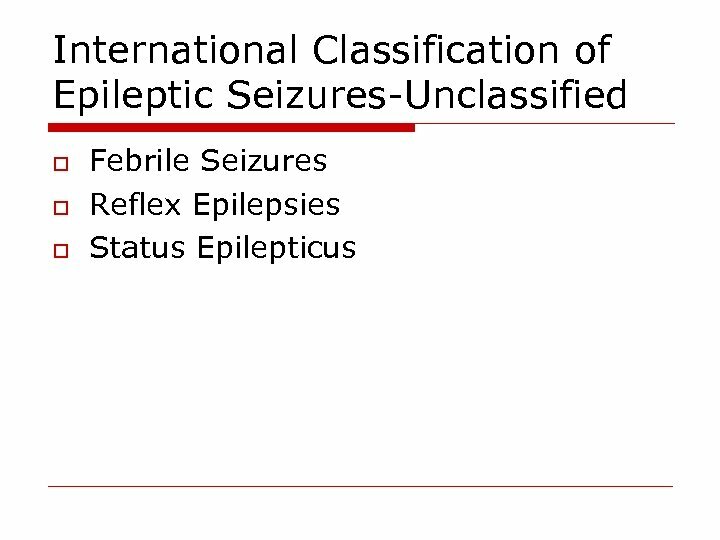 Have seizure precipitants been controlled for?